My name is Catherine Hung. I was born in Washington DC and grew up in suburbs of NYC. I’m Asian American with shoulder-length hair. My father died after 9 glorious family-time months of lung/liver cancer, possibly started in the colon in 1994. Turns out I’ve a genetic colon gene & a chubby white polyp was found in my 1st colonoscopy. My mother died of breast cancer lung complications in 2013 after a recurrence and a harder 2.5 yrs on hospice. 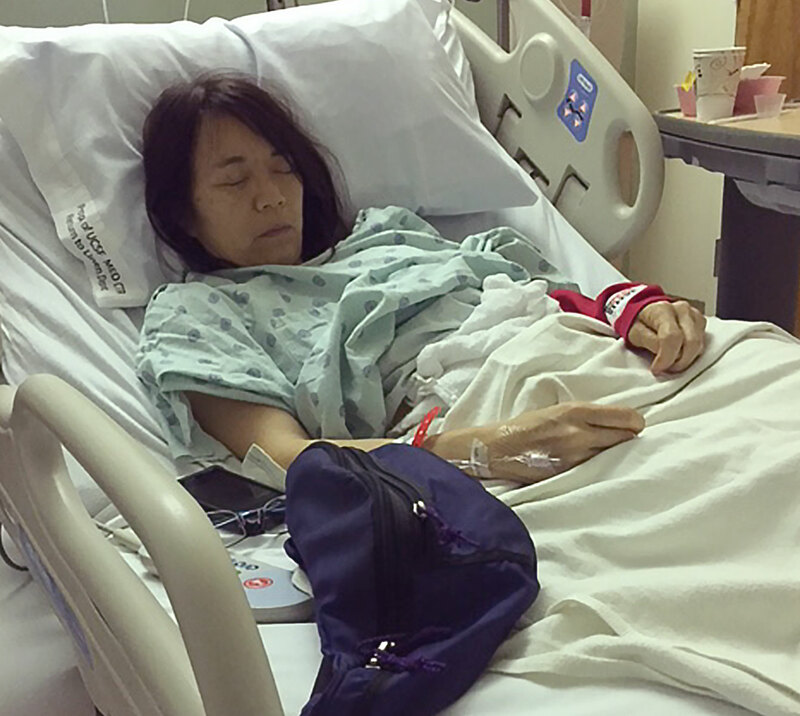 I got the confirmation call from UCSF on Lunar New Year 2015, Feb. Resigned to fate… bound to get something sometime, but Now? Breast cancer is not genetic, so better. Still…. So now, I’ve been learning to live with after effects of cancer, side effects of tamoxifen and aware of possible recurrence at some later stage. 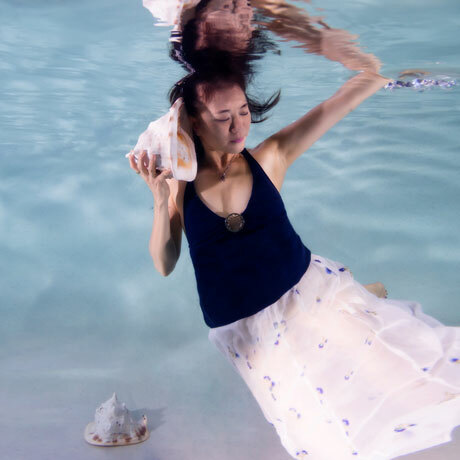 This underwater photo shoot had some moments of utter comfort, and bursts of happiness with my “props”, conch shells, and the pic of mom has lots of good memories. 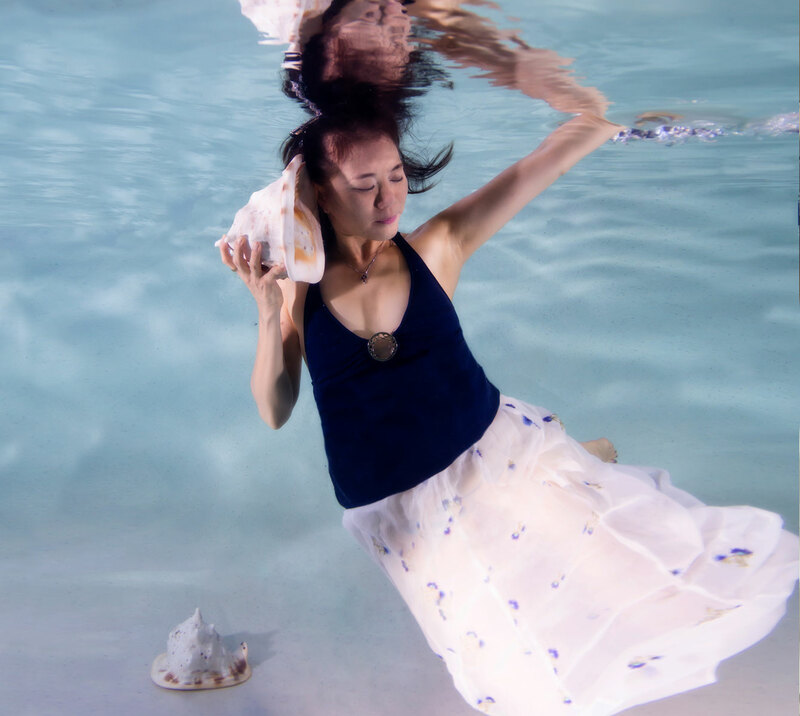 Mom would get such a kick that I could take her underwater with me! So though I practiced in the water 3 times, probably smiling with teeth led to coughing 3x. Had a moment of uh oh, however, it was the lightest, most relaxing, not choking …handleable enough to recover and drop back down for another attempt. Water is a gift of life. Very healing and refreshing especially to be immersed in water. I definitely slept well better than usual, a full night’s sleep. Erena was very encouraging, sensitive, dialoguing to help me be comfortable and advising -suggesting changes like arms in the back. Smile, show teeth, look down, half open eyes, no bulging eyes and demonstrating what to do or not. Making it kinda funny. Giving her hand to help me back from the deep side, ensuring a safe feeling which I felt from the beginning like Erena is better than a lifeguard! 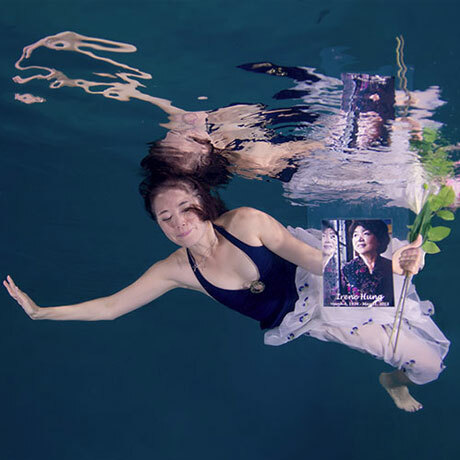 I highly recommend Erena’s Underwater Photography as it is truly healing. A new refreshing way to reconnect, explore, push oneself. Floating with full body immersion feels amazing, and then to be utterly surprised how one can look underwater. First, is that me? Kinda looks like me, but maybe not? Looks like my original self…reminding me… Wow, what a process!!! Excellent, unique, creative, active, detailed, beautifying, and now, back on land!